… to the top !!! This walkway is just to the right of the restaurant …. Oh I love it up there! And what a beautiful blue sky! Reminds me of summer days and chilled white wine! Have a lovely week-end! 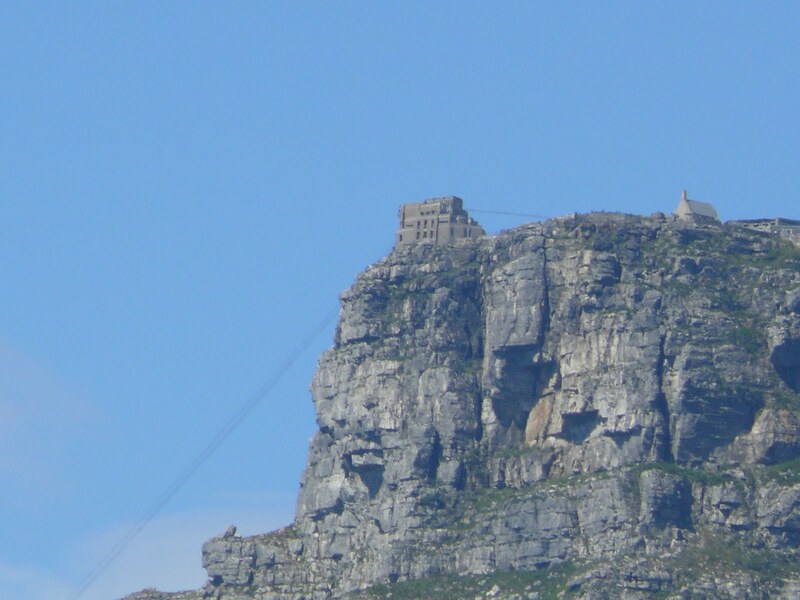 Fantastic photo´s!My daughter would love it go to the table mountain again…She is back from SA since december and she hates our cold weather here!Have a nice weekend! No better sky than the CT one!! So blue and fresh looking. It was a big mountain, there is certainly a good view:) Great pictures! Wow, this is very beautiful! :-) Great shot! What a cool place to have a restaurant—fantastic views! Oh my, the second shot is really spectacular. My hub would be so scared from the heights!